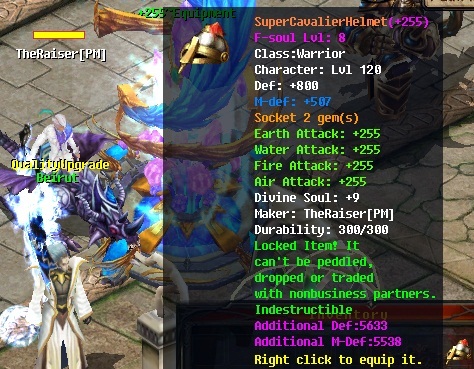 How to get Normal Equipment +255? 1- Find the NPC +255 (Cronus 317,503). 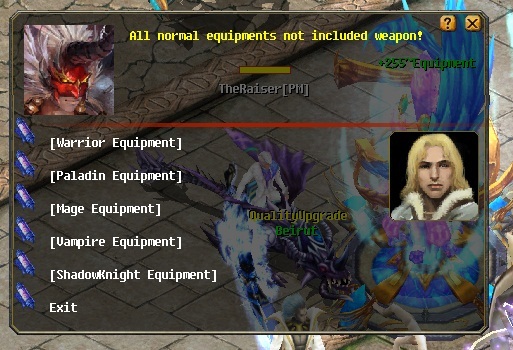 2- Click the NPC and select normal equipment. 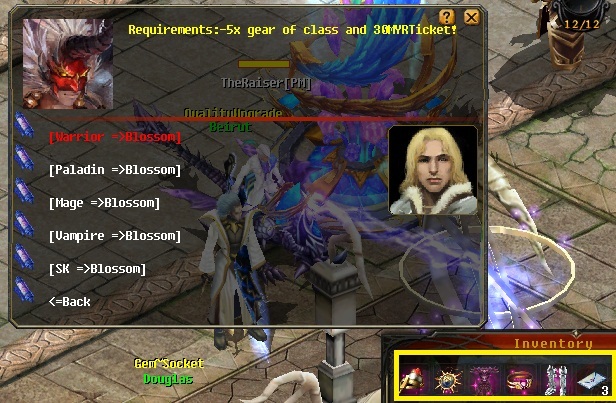 3- Choose any class of the equipments. 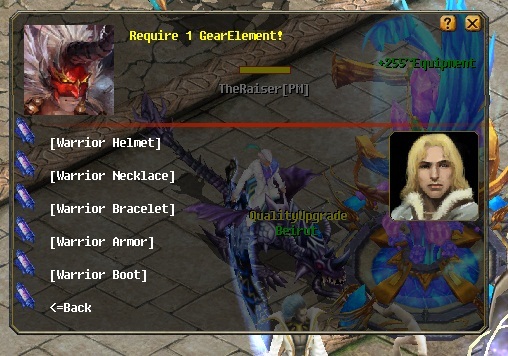 4- Choose any gears (Helmet,Necklace,Bracelet,Armor and Boots). 5- Require : GearElement to get equipment +255! 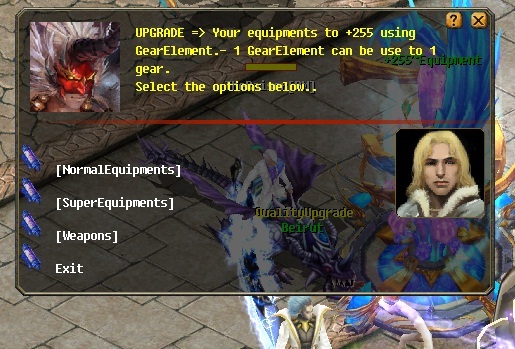 How to get Super Equipment +255? 2- Click the NPC and select super equipment. 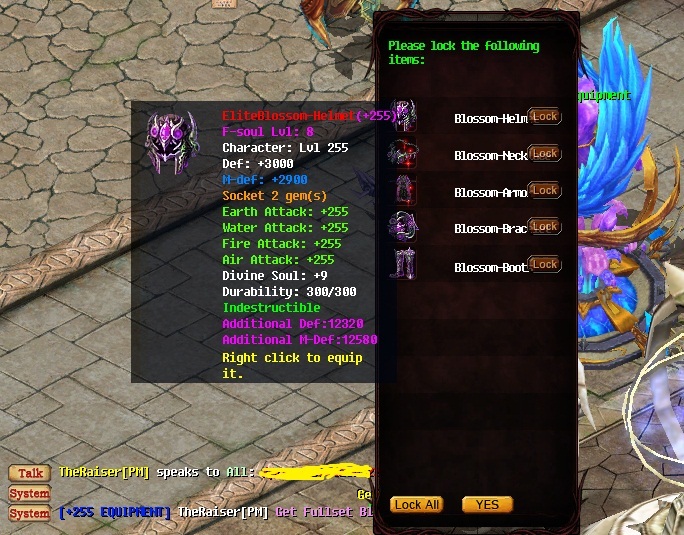 3- Choose type of super equipments (Blossom,Emerald,Midas and Void). 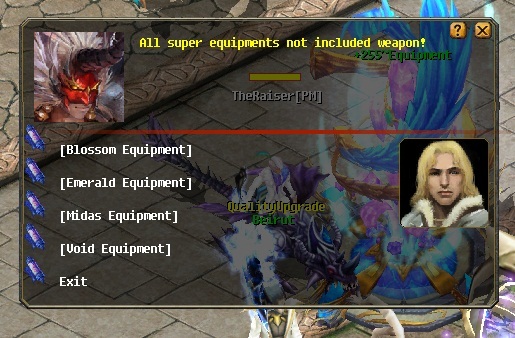 4- Select normal equipment class to upgrade to super.